Wilna Sue Tucker Searcy, age 79, left behind a beautiful sunny, blue-sky day on February 26, 2018 as she stepped into the glorious Kingdom of Heaven. Her battle with Pneumonia and Septic Shock left her body tired but her eyes were open and focused on what lay ahead. She was greeted in Heaven by her son, Thomas David Searcy, her brother, David Harold Tucker, her Mom, Nellie Nina Posey Tucker and her Dad, Homer Hearold Tucker, along with a host of Aunts, Uncles, Cousins, and in-laws. Laughter filled the Heavens at her reunion. Left behind to await a later arrival into the Kingdom were her husband, James Wayne Searcy, her children, James Richard (Diane) Searcy and Anne Searcy-Vaneman, her grandchildren, Erica Leigh Searcy and Donald Wayne Vaneman, her friends and nurses Brian Rickey Reed and Jennifer Nicole Fitzgerald, along with a host of nieces, nephews, cousins and friends. Wilna was anything but a “simple” housewife, although that’s how she saw herself. She worked to support her husband Jim as he worked his way through college and she typed up many an essay, report and paper. She was his sounding board and she grounded him by telling him what ideas were good and not so good. She budgeted and scrimped so the family could afford their first home as the three children grew. In the early days, she wore the same pair of shoes until they fell apart so the family could have new school and work clothes. When she was stricken with Lupus in the 70s, the family moved back to Bessemer, AL where they built a house beside her parents. Life was slow and sweet, with football games, bare feet and home canned green beans from her parents’ garden. A promise of a better job relocated the family back to Delaware during the 80s where she continued to support her husband and kids through hardships, homesickness and many a day spent shoveling show. The 90s saw the family move to Raleigh, North Carolina for the promotion of a life time. Life was slower and warmer with only the occasional ice storm and one nasty Hurricane named Fran that knocked 20 trees onto their house. After digging out from the debris, Lupus started taking a toll on her joints. Her hips ached and doctors started talking about hip replacement. Still, she managed to go with her husband on a trip to Paris where she kept up with all the walking. Retirement found the family returning to Cullman in 1999. Life was again slow and sweet but no more canned green beans as her father was no longer around to grow a garden and her mother was slowing down. Wilna helped care for her Mother and Aunt Una Mae as best as she could with bad hips and aching shoulders. She finally relented and bought a cane. Not just any old cane, but a black cane with painted flowers. Then she bought a clear Lucite cane. Then a red, white and blue striped cane. She rolled with the punches and made the best of it. She helped with design ideas when her husband and son started flipping houses and tried to keep them under budget, but that didn’t always work. 2010 brought the devastating loss of her son and she found herself in a wheelchair. Then her mother moved in and her brother passed in 2013. Finally, her mother could not be cared for at home. Wilna visited her mom often until her passing in 2015. Life slowed down again and the family managed Jim’s medical problems and eventual heart attack in 2016. August 2017 was when Wilna fell and broke her arm and hip. They celebrated their 60th wedding anniversary at the nursing home where Wilna went for rehab. Jim went every day and sat beside his little bride and they worked crossword puzzles and sometimes napped together. She came home on December 15, 2017 to enjoy Christmas, New Years and football with everyone. 2018 brought a new year that unfortunately brought a new bout of pneumonia that lead to her new home in Heaven. Viewing will be on Friday, March 2, 2018 from 5 p.m. until 6 p.m. for Family, and 6 p.m. until 8 p.m. for Friends at Moss Funeral Home in Cullman, AL. 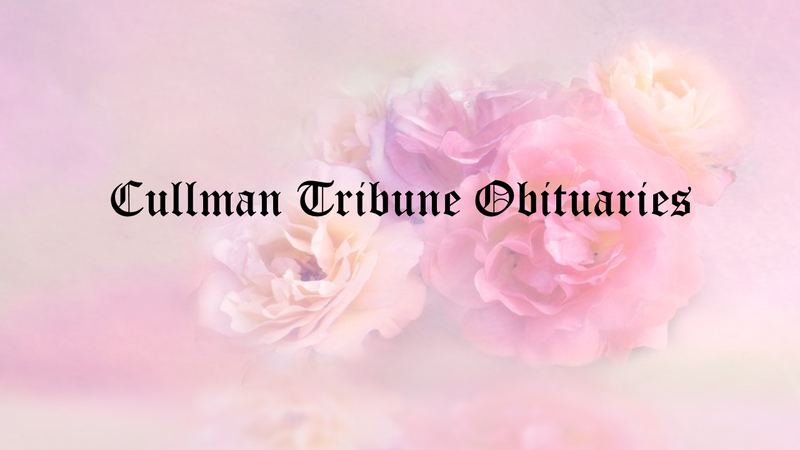 The Funeral will be held at 2 p.m. on Saturday, March 3, 2018 at Moss Funeral Home in Cullman, AL with Internment following at City of Cullman Cemetery. The Honorable Brother Ed Hayes officiating.